In the spring of 1993, I had the good fortune to be a member of a crew building log cabins in the middle of the Tobacco Root Mountains in Montana. It was my job to hand strip the logs with a draw knife. I had some serious callouses and worked some long hours, but it was one of my favorite jobs. After all, we were working outdoors and living in paradise. I was staying in tiny 10 x 12 cabin by a trout stream with another crew member. You could hear the sound of that stream at night. The snow capped peaks, Montana’s big sky and the forests surrounded us in beauty. We were working in a pretty isolated spot. To get there, you first drive 40 minutes west of Bozeman, cross the Madison River and enter the old mining village of Pony. Then you turn onto a bumpy dirt road and wind many miles into the mountains. It was definitely a road less traveled. The six of us hadn’t seen another human being or car in weeks. On the weekends, I had a day or two off. Those were probably the most amazing days imaginable. Instead of making the long drive into town with the crew, I stayed behind and enjoyed the solitude of the mountains. I read Emerson and Thoreau while submerged in the natural hot springs that could be found within a mile of a our work site. I also explored more of the valley and wrote in my journal. I witnessed a triple rainbow, watched the beavers, bald eagles and other wildlife do their thing. I even tried my hand at fly fishing. I caught nothing, but it didn’t matter. Just being there (and having a day off from hard physical labor) was a true gift. My life in that valley was incredibly idyllic, but I was attracted to the beauty of the snow covered peaks of the Tobacco Roots that surrounded us. When I had been living in Bozeman, I had looked out at those peaks countless times and felt drawn to them. I wanted to explore the areas above our valley. I also had always had a fear of spending the night alone high in the mountains. I wanted to face that fear. So I decided to head 1500 feet above the valley one night to sleep alone up there under the stars. I told my coworkers (all native Montanans) about my apprehension and explained my plan to confront it. They had quite a time telling me all sorts of scary stories about mountain lions and bears and coyotes. The next day, after a long day at work, they handed me a .44 Ruger pistol with a six-inch barrel. The gun was so powerful that, when they taught me to shoot it, I missed the can, but it still went up in the air. The recoil almost knocked my shoulder out of joint. We worked a regular Monday to Friday week in the valley and I planned to go on my adventure on a work night. On a Tuesday morning before breakfast, I got up extra early and carefully laid out my clothing for that evening. It was spring in Montana and the temperature drops into the thirties at night, especially high in the mountains where I was heading. I planned to build a small fire, but I was not taking a sleeping bag or tent. It was just going to be me (warmly dressed) and the elements. After work, I put on my cold weather gear and placed a travel alarm, a couple of Hershey bars and a small hunk of cheese into my coat pocket. I also grabbed the enormous borrowed pistol and slid it into the holster on my belt. It was 5 p.m. and I was ready. I ascended the high hill to the south. It was steep through the woods so I had to wind my way up. I was moving quickly because it was getting dark fast. It was May 9, 1993, a couple of weeks after my 24th birthday. A year or even a month earlier, I would never have imagined I’d be hiking up a mountain in late evening with a six-shooter in my holster. The ascent was exhausting, but my adrenaline was pumping as I scanned for the mountain lion, bear and coyotes about which I’d been repeatedly warned. It was getting dark but I could see pretty well since there was still snow on the ground in the higher elevations. Spring doesn’t come quickly in Montana. As I approached the tree line, the ground leveled off a bit. I hiked above the tree line and walked into a small meadow that was covered in snow. I decided this was the spot I would spend the night. I turned around and paused for a moment to take in the awesome sight of the glimmering snow-capped mountain peaks spread out before me. I had climbed about 1000 feet above the valley floor and was now at an elevation of about 6,500 feet so the view was spectacular. I didn’t pause long before getting to work on building my nest for the night. This was a weeknight. I had to be at work by 7 a.m. so the first thing I did was set my travel alarm clock for 5:30 a.m. I then cleared some snow for a campsite and procured some stones to build a fire ring. Next, I hiked down below the tree line and made some trips back and forth to gather what I thought would be enough wood for the night. I also dragged some pine branches up the side of the mountain and built myself a pretty snazzy on-sided windbreak (a structure I would later burn for warmth). It didn’t bother me that I had no tent, no sleeping bag, no water and no container in which to melt snow. By 9 p.m., I was happily settled next to a roaring fire, the coals glowing orange and purple. I was foolishly eating snow when I got thirsty which probably did a number on my body temperature, but I didn’t care. This was bliss. One of the most amazing nights of my life. I am sitting two feet from a tiny roaring fire. I plan on sleeping here tonight without a sleeping bag or tent and heading down to work in the morning as the sun comes up over the Bridger Mountains. I see Belgrade to the north, Bozeman to the northeast and Harrison to the north. The towering snow capped rocky peaks of the Tobacco Root Mountains are looming splendidly to the south, their jagged silvery summits basking in the starlight. 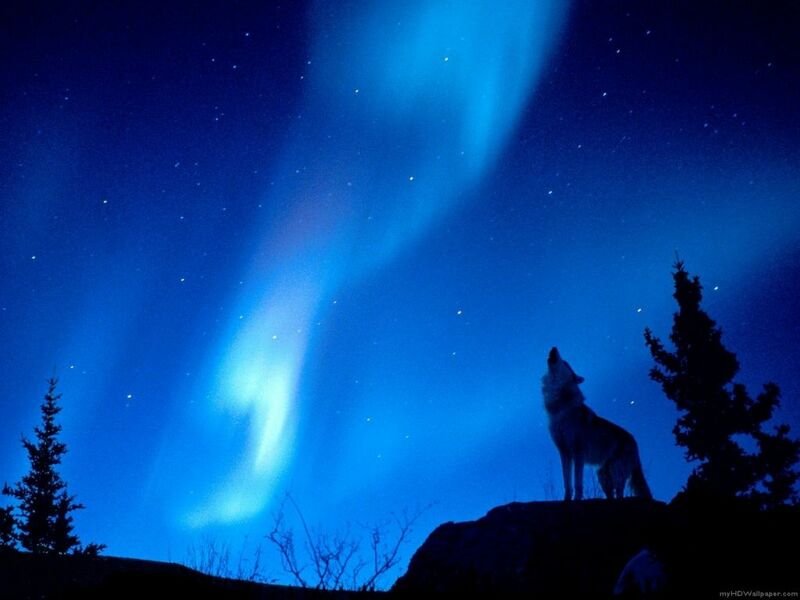 What prompted me to begin writing is the brilliant display of the Northern Lights — aurora borealis! Huge curtains of white, green and red shimmering from the horizon to a 45-degree angle and approximately 90 degrees wide. The curtains, which have lasted for more than an hour, turn often to spikes driving all the way up to the crisp clear stars. The big dipper is directly overhead. A sliver of a moon should be out a little later tonight. I’m letting the fire die down so my eyes can more easily adjust to see the auroras. The lights of tiny Montana towns sparkle. . . a coyote barks (but does not howl) way off to the east. Why I thought I would need 15 bullets and how I would get the last five out of my sock in time to reload, I’ll never know. I gazed at the stars, snowcapped peaks and auroras for hours and then hiked back down below the tree line in the dark (I had no flashlight) to gather more wood. I stoked up the fire with as many branches as possible and curled right up to the fire ring to keep warm. After an hour of peacefully watching the fire, I drifted off into a deep sleep. That was probably around 1:30 a.m. I had never felt more at peace or more in tune with the earth. After what must have been about two hours sleep, I was gently awoken by the distant howl of a coyote. It didn’t scare me. In fact, it sounded pretty cool. I glanced at the fire and drifted back to sleep for what must have been another fifteen minutes. Again I was awoken, this time by the howl of a coyote about two hundred yards to the north. I shuddered and froze for several minutes, listening intently for any movement in any direction. After what seemed like an eternity, I gathered enough sense to throw the remaining wood on the fire to create warmth and scare off any coyotes. I yanked the borrowed .44 Ruger out of its leather holster with a sweaty palm. The gun was heavy and the longer I held it there pointed into the darkness, the heavier it became. To make matters worse, my palm grew sweatier with each terrifying moment. Additionally, I’m not a gun guy. I’ve only fired three or four guns in my entire life. At that point, I was nearly as terrified of the gun as I was of the thought of being eaten by coyotes. Another five minutes of silence went by and, to fill that void, I repeatedly inventoried my ammo in my head: five in the chamber, 5 in my pocket and five more in my sock. I imagined how many coyotes might travel in a pack and tried to calculate how accurate I’d have to be so as not to run out of ammo. Anyone who knows anything about pistols will tell you that accuracy at twenty yards in broad daylight is quite a challenge. In the dark, it’s a pipe dream. Now it’s one thing to laugh around the fireplace in the cabin by the stream with native Montanans about how harmless coyotes are. They’re afraid of humans. They’re afraid of fire. They’re afraid of everything when men are talking within the safety of sturdy shelter. It’s quite another thing to be surrounded by howling coyotes while alone in an unfamiliar place in the dark. In those circumstances, fear knows no bounds. The five minutes of silence were followed by the most terrifying and real symphony I have ever heard in my life. The northern coyote barked a few times and let out a long loud howl. He now sounded to be about 50 yards off. I pointed the gun in his direction and squinted in a desperate attempt to see. The fire, of course, had stolen my night vision completely. Then the coyote below me to the west howled again from about 75 yards. I swung the gun in his direction, the long barrel gleaming in the faint moonlight, the snowcapped peaks towering above my sights. Next, and most terrifying, was a chilling howl from about 25 yards behind me to the east. I swung around and, for the first time, I put my finger on the trigger and actually considered firing. At what, I did not know but I was fairly certain the boom of the .44 would scare them off. Unfortunately it also occurred to me that it could also awaken my workmates and trigger a search party. I would never hear the end of it. After the eastern coyote howled from that terrifyingly close distance, I could actually hear him whine and snort. I pictured the steam coming from his nostrils but couldn’t see it. I was very nearly in shock at this point but somehow managed to continue holding the gun. Seconds later, the western and northern coyotes howled again, sounding closer and I was beginning to picture my dramatic end from struggle to feast. Then the eastern coyote snapped me out of my morbid vision by howling long and low from fifteen yards. I could hear his breath and the crunch of each footstep as he inched towards me. I froze. I didn’t fire. I didn’t flinch. I didn’t move. Inexplicably, I pointed the gun straight up in the air and just sat there, barely breathing. The howling and encroachment continued and the excitement among the coyotes seemed to build as they sang their lonely songs sometimes simultaneously. I sat there stiff for what seemed like an eternity but what was probably a minute. As I think back to that moment now, I realize that sleeping alone by a tiny fire in the Tobacco Root Mountains with no sleeping bag and no tent had everything to do with a quest for present-mindedness where your worries about the future and regrets of the past all disappear because you’re truly absorbed in something. I suppose it’s the same reason some people rock climb, race cars or skydive. For me, the shock of being surrounded by coyotes pried open a window to that feeling of presence. The good news is that, we obviously don’t need something so dramatic to take us there. I’m beginning to learn that we can walk peacefully into the same warm room through the unlocked door (rather than prying open a window). Walking in the forest, camping, skiing, doing yoga, laughing with friends, playing with a child, practicing whatever art you enjoy. . . Being fully immersed seems to be the key. We’re finally paying attention. That’s how the ordinary becomes extraordinary. We awaken to what’s been there all along. Someday I’ll return to the Tobacco Root Mountains. For at least one night, I’ll sleep on that same hillside. . . with no tent, no sleeping bag, no water. . . and no gun. In some ways, the challenge with gun laws is similar to what we went through with with smoking.